Enjoy a selection of classic masterworks. 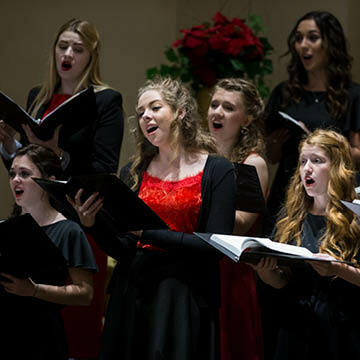 Grand Canyon University’s College of Fine Arts and Production invites you to a classical musical experience, featuring Critical Mass, Canyon Chorale and student soloists. Join us at the First United Methodist Church, on the northwest corner of Missouri Ave. and Central Ave. on Thursday, Feb. 7 at 7pm.